Trying to find a sleeping bag that is inexpensive but capable of taking on winter camping adventures is tough. Slumberjack created the Latitude 20 to fix this niche and provide comfortable sleep in cold conditions.This company may not be one of the more common names in the industry but they do make some very impressive gear. As their name would suggest they primarily focus on sleeping bags, pads, tents and other gear related to getting a restful night out in the backcountry. They do also have a special line of tactical hunting gear.The Latitude 20 isn’t one of their best models available but it does a pretty good job for the new camper. With that specs and features out of the way, let’s take a look at some of the advantages of this bag. Overall the Latitude 20 is a good quality sleeping bag but since it is fairly basic in design and performance, there are really only three major advantages this tent offers. 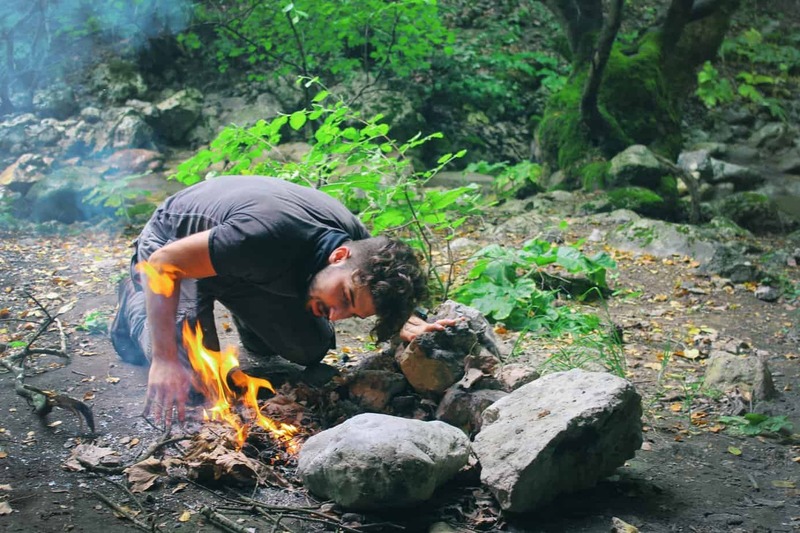 Sometimes price is the main factor in deciding what sleeping bag to buy, especially if you aren’t sure just how much you’ll be using it or only need a cheap one for a short time until you upgrade. Most places will price the Slumberjack Latitude 20, in all sizes, well under $100 (check this listing for the latest live prices). This is quite affordable for most people and also makes it a good gift idea. Since the price is so low you won’t feel like you wasted money if you don’t end up going camping as much as you thought. While price alone shouldn’t be the main reason for buying any particular sleeping bag, it is a good reason to consider this model. The Slumberjack Latitude 20F is capable of handling temps down to 20F (7C) degrees. Most will agree that if you dress warmly you will get through the night comfortably if the temp doesn’t drop below this level at night, if you have a good quality tent or other shelter. The combination of the brand’s Slumberloft fill and the mummy shape of the bag really help to trap in heat. Slumberloft is a synthetic fill and quite puffy, despite being lightweight, so it really works well at preventing heat loss. The polyester diamond ripstop shell provides a good barrier from cold as well. Polyester taffeta lining is super soft to the touch and really makes it pleasant to sleep in this bag. This model is fairly versatile so depending on what clothes you wear this bag can be used throughout the year but most comfortably in temps ranging from 20F to 60F. It is common sense that most outdoor gear is made to fit the average man or woman. This is ideal for majority of people but can be a tricky for those who are short or very tall. When it comes to sleeping bags you really want to try and get a model that fits your height and width. This is important for maximum warmth and overall comfort. A person who is very short in a large bag will find it difficult to stay warm in cold temps. A very large person in a bag too small will equally have trouble stay warm or will not be able to comfortably sleep. More and more brands are making multi-size sleeping bags, Slumberjack being one such brand. Being able to choose the proper size ensures the sleeping bag performs to its full potential. The Short size also means women and youth will probably be able to get by with this sleeping bag without a problem. There aren’t many sleeping bags that don’t have some kind of weakness or downside to them. The Latitude 20 only has two main disadvantages but they are fairly significant, particularly the first issue. A sadly common quality control issue with the Latitude 20F+ sleeping bag is the zipper. Complaints about the zipper breaking or easily coming undone are frequent. There really is no way to fix this problem and most users find that despite their best efforts, they just can repair the zipper permanently. You could say you get what you pay for. 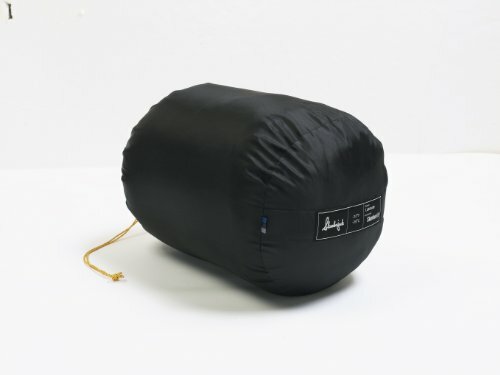 Although the price point of this sleeping bag is fairly low and perhaps that means you can’t expect this model to perform like a more expensive bag, the zipper should at least be functional. Since this sleeping bag is warm enough to keep you toasty down to 20F it goes without saying that if you can’t zip up the bag you could be in a very bad situation if you’re out in the backcountry. Again, going back to the fact that this is more an introductory or budget-friendly bag, Slumberjack did have to cut corners on materials in order to keep the price down. The loft fill and the taffeta shell make this sleeping back quite fluffy and big. This is comfy when you’re in it but can be a problem when it comes to packing it back up. The Latitude 20 does come with its own stuff sack but it’s a tight squeeze getting it in. Some users have tried to use special vacuum sealing bags but find that this model simply can’t get down to a very small size. For car camping this isn’t really a serious issue but if you plan on backpacking with it be prepared for it to take up a lot of space in your backpack. The Slumberjack Latitude isn’t a bad sleeping bag but it also isn’t a super impressive one. It is best reserved as a backup sleeping bag, a first sleeping bag for older kids or teens, or a bag used for occasional car camping. If you are a serious outdoorsman or already know that you will put your sleeping bag through a lot of use, it would be best to skip this bag. Slumberjack does produce good outdoor gear, and like most brands, sometimes a not-so-great model just happens to make it through quality control.